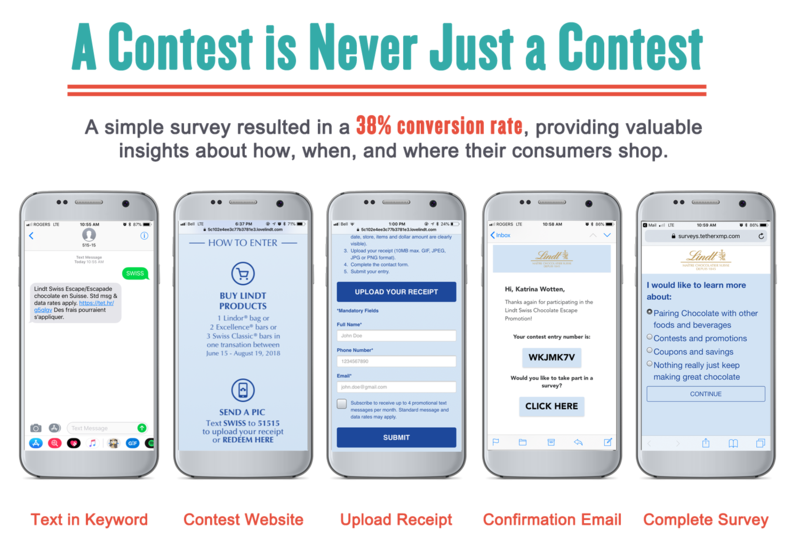 Often with purchase-based contests (specifically using mobile or online as the entry method) we attract people who have not necessarily bought the required product because they found us online as opposed to in-store. Too many marketers are comfortable dismissing this potential customer by delivering a “sorry” message. Stop!! This person is engaged, give them a coupon, allow them entry if they answer a short survey. Never let them leave empty handed and feeling negative about your brand. A contest is never just a contest…remember? Once you have an audience that has fulfilled the contest requirements offer further entries for 2 minutes of their time. Short surveys, POP evaluation (which do you like better) or join our panel offers are amazing ways to use an already captive audience to provide you with free relevant research that may end up informing your next shopper program. Remember you don’t need everyone to participate in the “bonus”, a couple hundred engaged consumers is worth more than a dozen lacklustre focus groups. Use your contest strategy (as above) to assist your Category manager with some of the challenges that they may be facing. For example, try using your contest survey to understand specific shopper behaviour at a specific retailer. The information that you get back will not only be relevant but it will be current – a quality that many retailers simply do not have access to. The program below is a great example of using a contest as a vehicle to dive deeper into shopper behaviour. By adding a brief survey to the end of entry they received 38% conversion and learned valuable information about their buyers. Ready to see what you can learn about your consumers?